SAFEGUARD Security Services (Pvt) Ltd, has petitioned the High Court seeking an order to compel Air Zimbabwe to settle a $47 164 debt for security services rendered at the Robert Gabriel Mugabe International Airport since last year. Through its lawyers Danziger and Partners Legal Practitioners, the security firm filed the summons against the national airline at the High Court on September 13, 2018 and the parastatal is yet to respond to the litigation. In its declaration, Safeguard Security Services said sometime in 2017, the two parties entered into an agreement, where the airline agreed to pay for such services on a monthly basis. "The parties entered into an agreement in terms of which plaintiff (Safeguard Security Services (Pvt) Ltd) agreed to render security services to the defendant (Air Zimbabwe (Pvt) Ltd) who agreed to pay for such services on a monthly basis. Pursuant to the agreement, the plaintiff rendered security services to the defendant during the period between September 2017 and January 2018," the firm said. 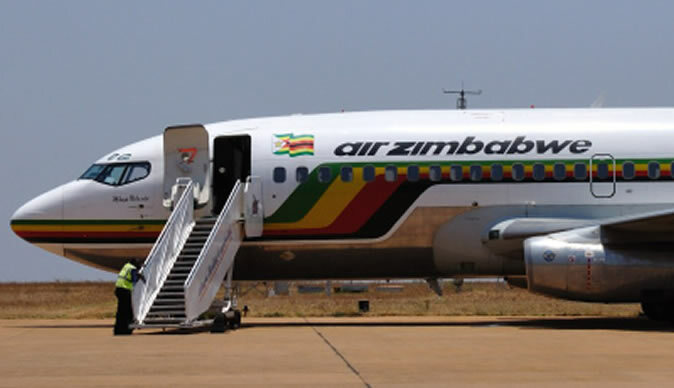 The security company also said since January this year, the outstanding amount owed by Air Zimbabwe has not been settled and had also accrued interest in the process. The firm further said in terms of the agreement between the parties, the airline was now liable to pay all legal costs incurred by the security firm in the process of recovering its outstanding amounts. "As at January 31, 2018, the outstanding amount owed by the defendant stood at $47 164,76 and continues to accrue interest at the rate of 1% per month," the firm said. "In terms of clause 4.3 of the agreement, defendant is liable to pay all legal costs incurred by the plaintiff in the process of recovering any outstanding amounts due under the service agreement, including legal practitioner's collection commission and cost of suit on the legal practitioner and client scale. Despite demand, the defendant has failed, neglected and or refused to settle the debt."